As official supports of National Home Security Month, we are delighted to offer a series of infographics with tips on how to safeguard your home. 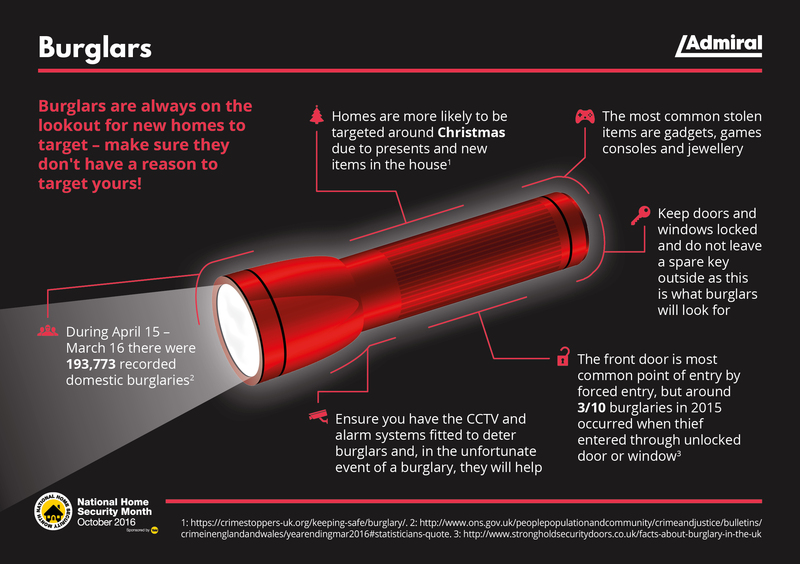 Over the next few weeks we will be releasing some facts and tips to make your home safer and keep the burglars at bay. Burglars are opportunists; a window left open or old fashioned locks are like an open invite. Don't make it easy for them!